Deloitte Consulting LLP announced June 6 that Kymm McCabe has joins the company’s federal government services practice in the technology group. Her emphasis will be on Deloitte Digital, the world’s first creative digital consultancy, which helps leading consumer brands and governments deliver their missions real time, anytime, anywhere and on any device. McCabe has held senior level positions with the U.S. Army, ASI Government, ICF International, Advanced Performance Consulting Group, Don Tapscott’s Alliance for Converging Technologies and EDS. 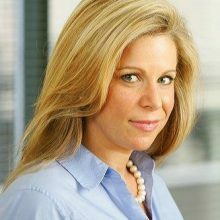 She most recently founded and served as the CEO of Value Storm Growth Partners, which helped government and commercial clients identify and access “non-traditional” capabilities, technologies and partners to advance new commercial strategies to meet government’s emerging needs for the Digital Age. McCabe is a published author and is widely sought to speak on topics of innovation, large-scale transformation, leadership, strategy and organizational growth. Additionally, she has received numerous awards including Federal Computer Week’s 2015 “Federal 100,” Fairfax County Chamber of Commerce’s 2013 GovCon “Executive of the Year” award, Washington Business Journal’s prestigious “Women Who Mean Business” award and Women in Technology’s “Entrepreneur Leadership” award. McCabe is well-known for conceiving the interagency “Acquisition of the Future” (AOF) initiative in 2013 that created and publicly launched the “Acquisition of the Future Transformation Guide” and profoundly altered the federal dialogue. The effort now includes federal agency pilot projects and an online collaboration site hosted and supported by the American Council for Technology-Industry Advisory Council (ACT-IAC) as part of their Acquisition Community of Interest. McCabe continues her involvement as an Executive Sponsor for the “Acquisition of the Future” initiative hosted by ACT-IAC and is a member of the organization’s Executive Advisory Council. She also serves as a SAGE with the Partnership for Public Service, a director with the Procurement Round Table, and a member of the board of directors for the National Symphony Orchestra. She earned a Master of Public Administration with a dual emphasis in business strategy and organizational behavior from the University of Southern California and a Bachelor of Arts in philosophy with an emphasis in ethics and public policy from the University of California, Santa Barbara.